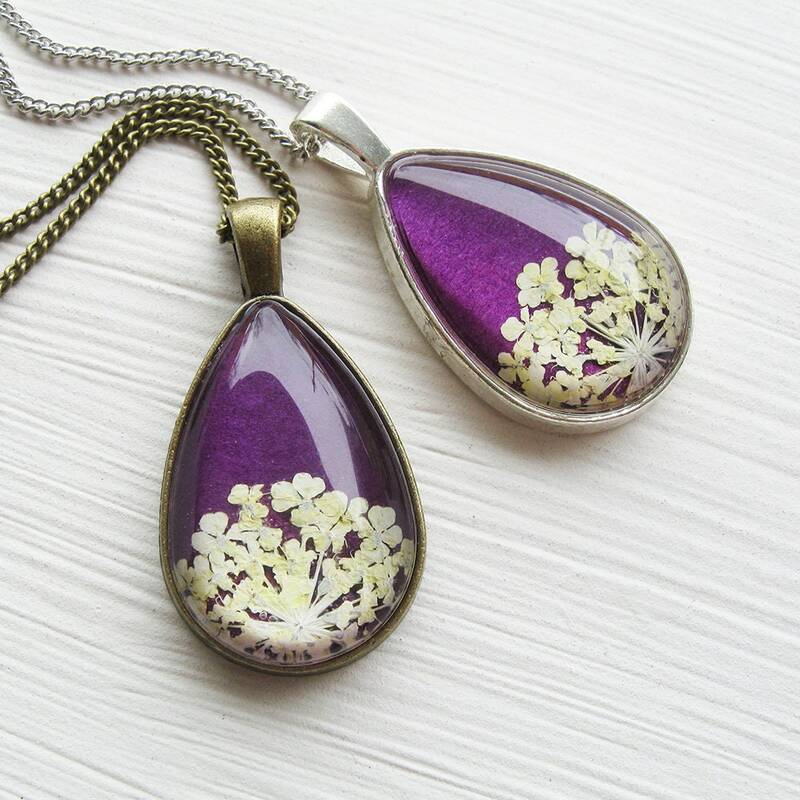 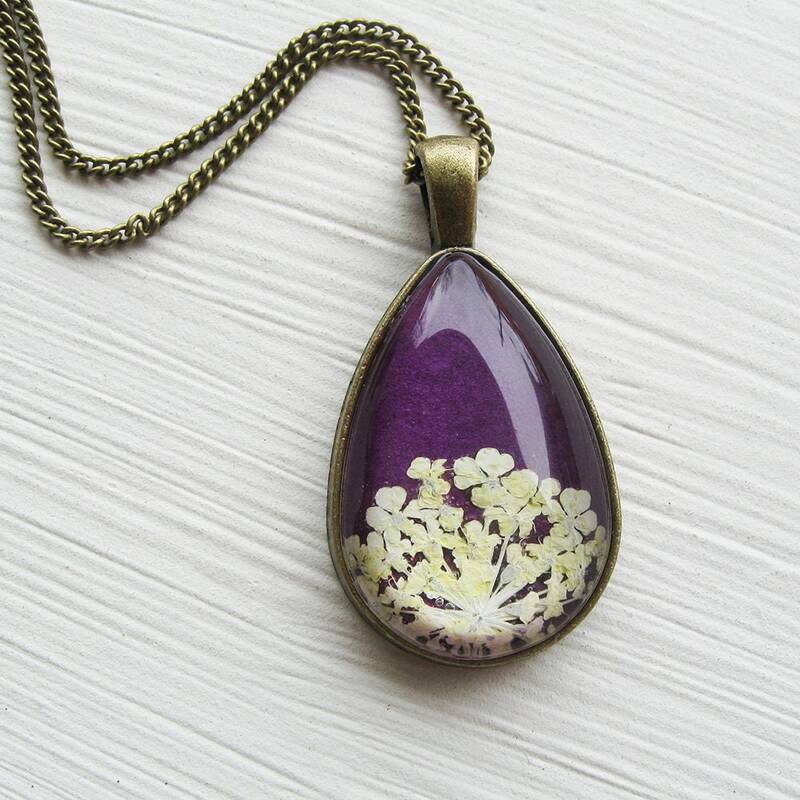 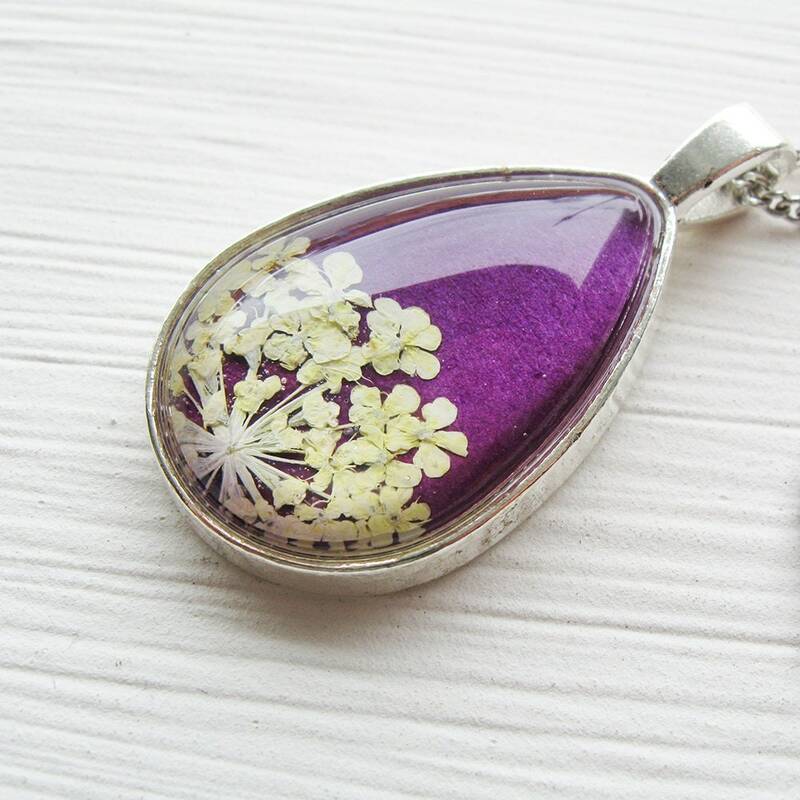 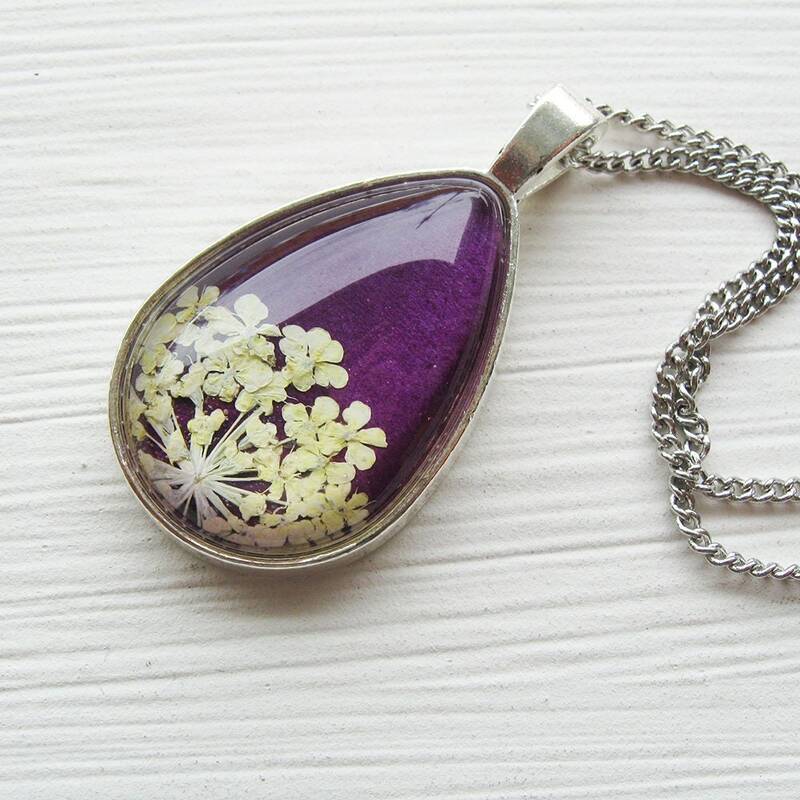 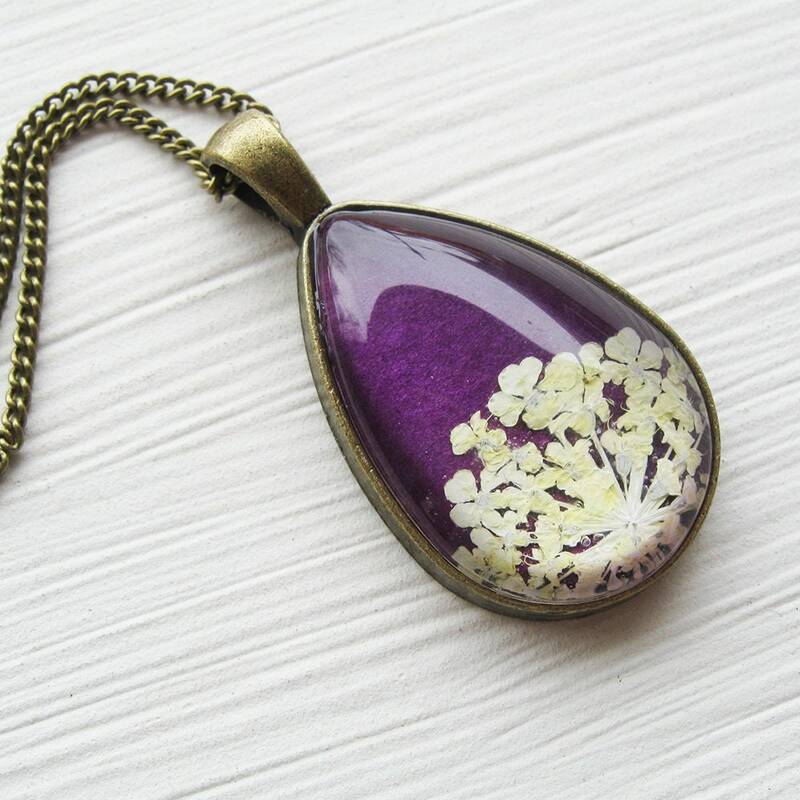 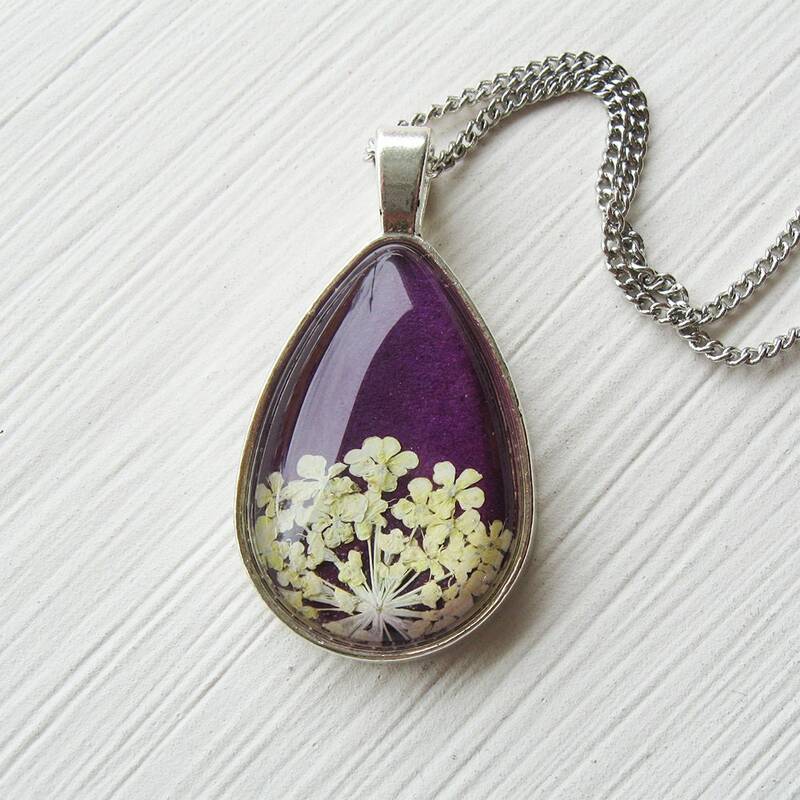 Real Pressed Flower Necklace - Violet Queen Anne's Lace Botanical Teardrop Necklace. 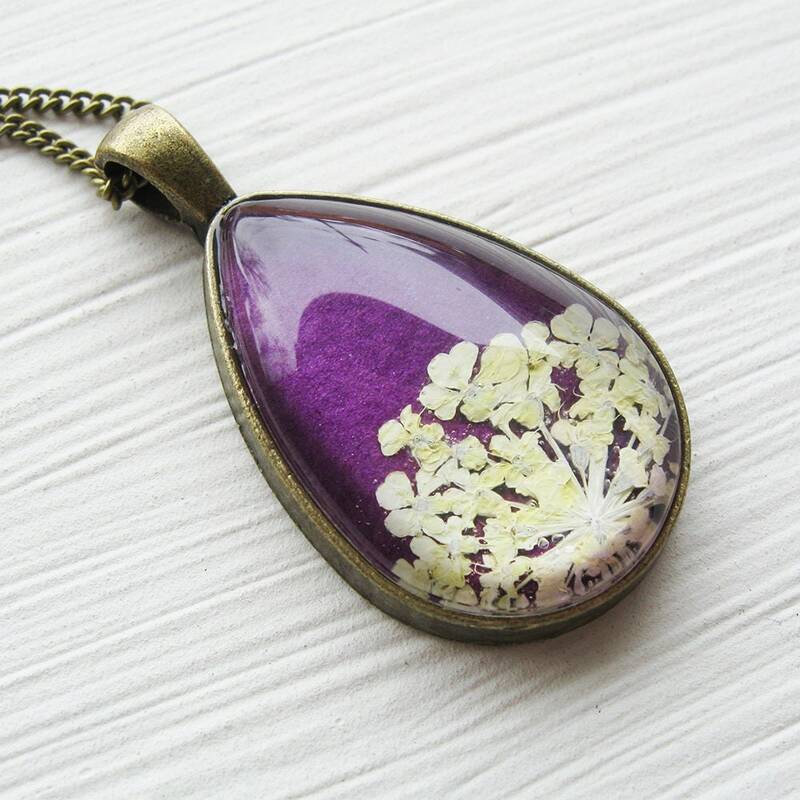 This necklace is made from real yellow Queen Anne's Lace pressed flowers and set in a silver or antique brass teardrop with glass. 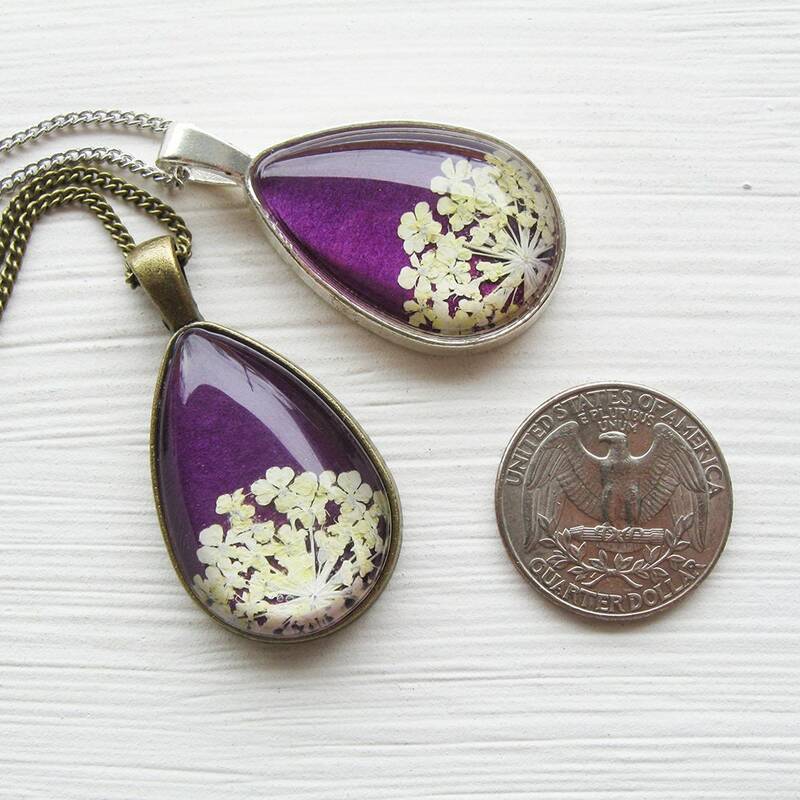 Available in silver or antique brass.